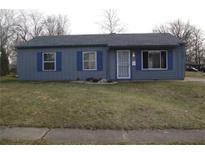 Below you can view all the homes for sale in the North Eastwood subdivision located in Indianapolis Indiana. 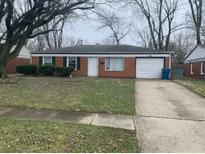 Listings in North Eastwood are updated daily from data we receive from the Indianapolis multiple listing service. To learn more about any of these homes or to receive custom notifications when a new property is listed for sale in North Eastwood, give us a call at 317-900-4550. Some of the updates include updated kitchen & bathrooms, new vinyl windows, new HVAC system, water heater, new flooring throughout, new interior and exterior paint, new faucets and fixtures, new appliances and much more. MLS#21632092. Apex Realty. Must See Before It's Gone. MLS#21629978. 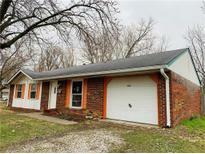 Keller Williams Indy Metro S.
Great investment property. MLS#21629433. Brick Lane Property Management. So Many Great Indoor/Outdoor Features In This Stunning Turn Key Home. Schedule A Tour Today! MLS#21628347. CENTURY 21 Rasmussen Company. This is one of the largest homes in the neighborhood. MLS#21628194. Keller Williams Indy Metro NE. Room measurements approximate. Sold As-Is. Tenants rights apply. 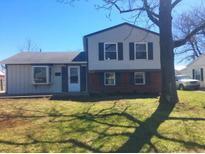 MLS#21627280. Berkshire Hathaway Home. The house sits on a cul de sac and has a fenced in backyard. Property is currently being rented. MLS#21625910. Libertad Real Estate Co., LLC. Additional amenities include a large fenced back yard, storage shed, security front door and central air. Solid investment. MLS#21625934. F.C. Tucker Company. Home listed and sold, in process of being re modelled March of 2019 MLS#21626101. Priority One Realty. Furnace, A/C, water heater, & overhead garage door all replaced in the last 2-3 years. MLS#21618530. Picket Fence Realty. (Includes a 2 ½ detached garage and a large lot.) MLS#21614033. Owens Realty. Many of the homes have new roofs, furnaces, ceramic tile in kitchens and bathrooms and other capital improvements. MLS#21613073. Apex Realty. Laundry Room, Beautiful Kitchen with appliances included, brand new second bathroom, updated electrical and brand new HVAC. MLS#21611919. RE/MAX Ability Plus.